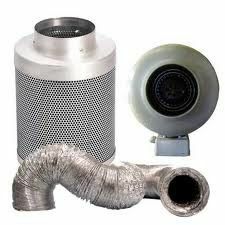 Systemair RVK 150L1 Fan & 150/600mm Rhino Pro Filter 680m3/hr Aluminium Ducting kit. 2 x Rhino hose clips. The RVK fan is compact, powerful and reliable in the most extreme conditions. The Rhino Pro Filter is known for its state of the art design and a filter that outperforms its competitors, with a life span of approximately two years.